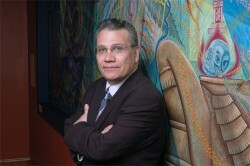 The National Museum of Mexican Art (NMMA), the only leading Latino arts center in the country, recently welcomed Phillip Jiménez, former president and ceo of San Miguel School Chicago, as its new vice president and chief operating officer, a role that was newly created by President and CEO Carlos Tortolero. Jiménez will work with the Tortolero and the Board of Directors to ensure the long-term, strategic growth of the organization and its mission, with responsibility for the Museum’s fiscal, operations, revenue, marketing, human resource, technology, strategic and programmatic plans. 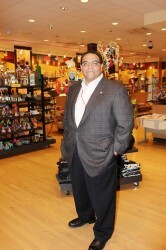 Before joining NMMA, Jiménez served as President and CEO of San Miguel School Chicago. His leadership at San Miguel contributed to a 20 percent increase in revenue and oversaw its successful restructuring and strategic plan development. “As one whose career and personal interests revolve around community, I am honored to serve NMMA and the City of Chicago in this role,” Jiménez said. “When I was growing up on Chicago’s West side, a sense of community was lacking. That experience gave me the desire to not only help Latinos discover and embrace the educational, cultural and spiritual touch points that help define identity, but also to share that heritage with the larger community. The National Museum of Mexican Art in Chicago showcases 3,000 years of creativity from both sides of the Mexican border, connecting visitors to the diversity of authentic Mexican art and culture. To learn more, visit http://www.nationalmuseumofmexicanart.org. © 4031 Chicago Hispanic Newspaper, Lawndale News, Hispanic Bilingual Newspapers, Su Noticiero Bilingue. All rights reserved. XHTML / CSS Valid.